Oh Alaska, you beautiful, exquisite oasis. Prior to visiting Alaska, I had two points of reference. First, the I Love Lucy episode when the gang travels up to Alaska to look at perspective property and, inevitably, Lucy gets herself into a pickle with celebrity, Red Skelton. Second, I knew of the beauty and and alluring nature of Alaska from reading and watching Into the Wild. But, as we all know, reading and watching is a lot different than actually experiencing. 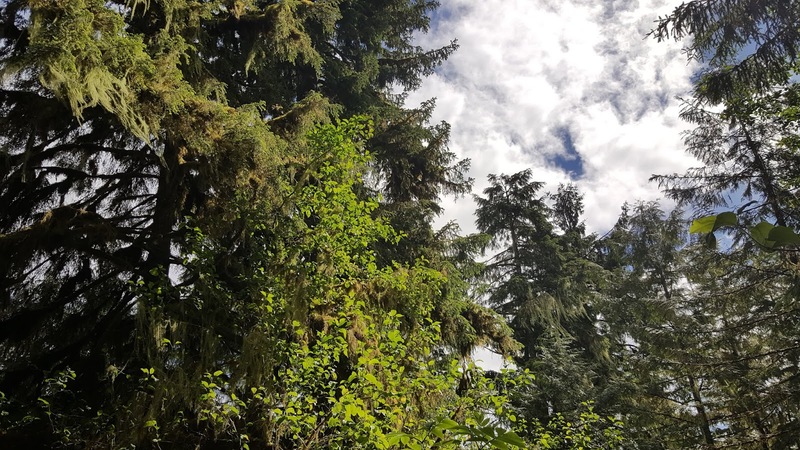 Alaska Rainforest Sanctuary | My family and I went on a seven day roundtrip cruise from Seattle to Alaska. The first stop was Ketchikan. 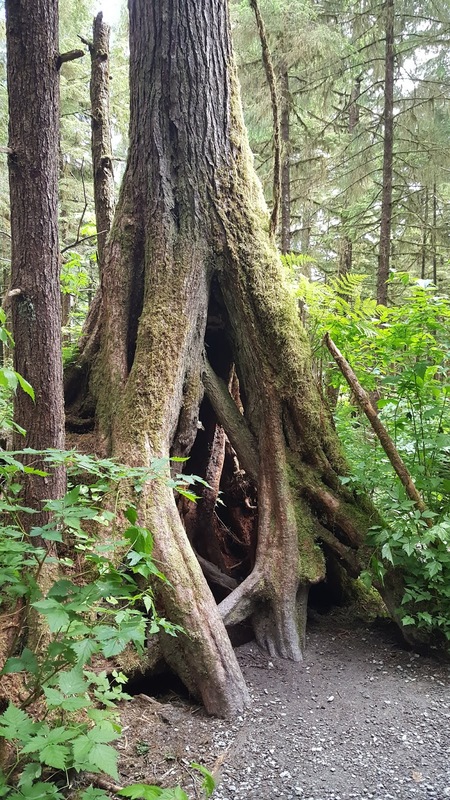 We chose the Alaska Rainforest Sanctuary walking tour, which lasted about three hours. The walk was very moderate and did not require many steep hills. The tour guide walked us through the sanctuary on a dirt path. Although some sunshine did break through the tree canopy, the walk was mostly shaded due to the large, luscious trees. During the walk, we learned about the different trees. Hemlock can be distinguished from other trees due to the bark looking like bacon, or ham, and remembered as hamlock. The Sitka tree has bark that looks like potato chips. 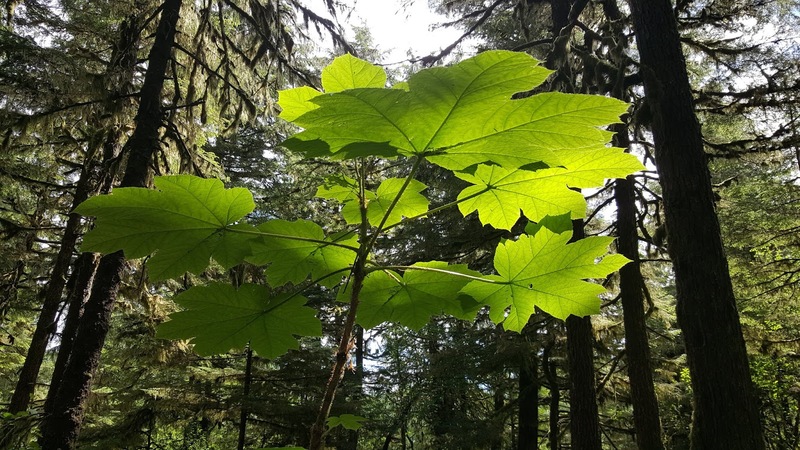 Skunk cabbage is also very prominent in the Alaskan rainforest and is sought after by bears for its natural laxative properties, which is necessary after their long hibernation. 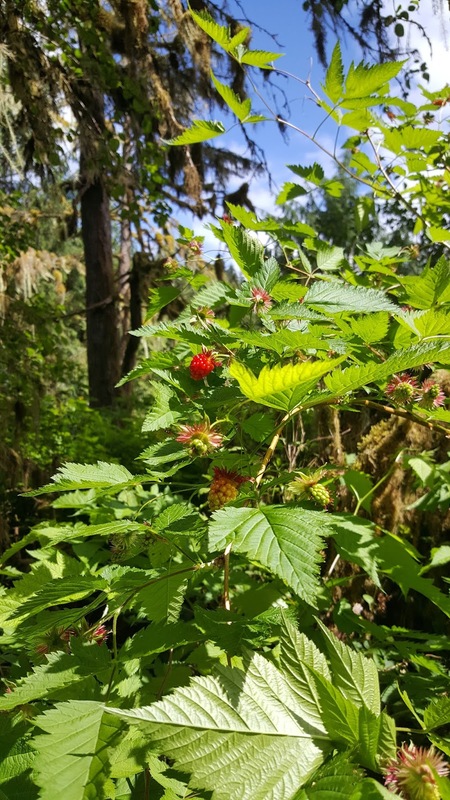 We also spotted berries and banana slugs along the way. Banana slugs are said to give anyone who licks them good luck, so, of course, my brother licked one. One of the most interesting aspects of this rainforest walk was learning about the ecosystem. 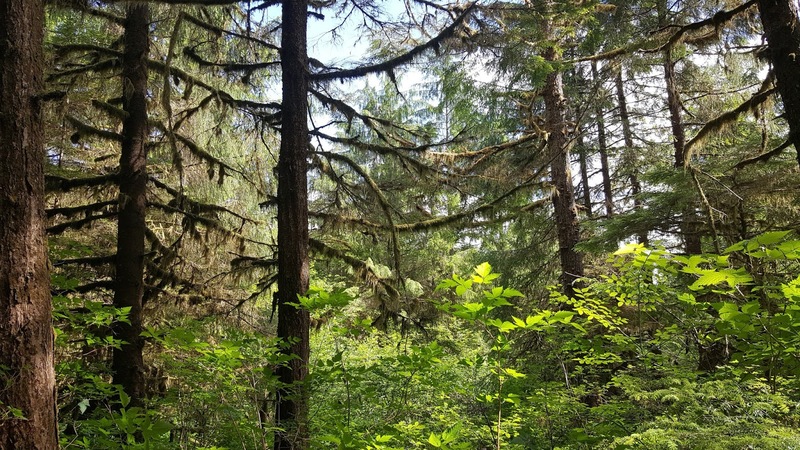 Since the weather is very damp and cool in Alaska, the forests do not experience fires. Forest fires are nature's way of getting rid of old/dead trees that may have fallen to the ground. However, since the trees are not removed either by nature or human, nature uses them as new ground for growing trees and other plants. Because trees are beginning their growth above ground, the roots must reach down very far before finding the earth. This pattern of growth creates a very interesting and symbiotic relationship among the trees and plant life. Another interesting part of the walk was seeing bear claw marks on the trees. Bears often climb trees to hide and hunt. Mama bears also tell their baby bears to climb trees while they go out and find food. Although we never saw bears during our walk, it was very evident that they were close by. Once we finished our walk through the rainforest sanctuary, we were brought out to a pier across a body of water. We were so excited to see bald eagles sunbathing among the water. 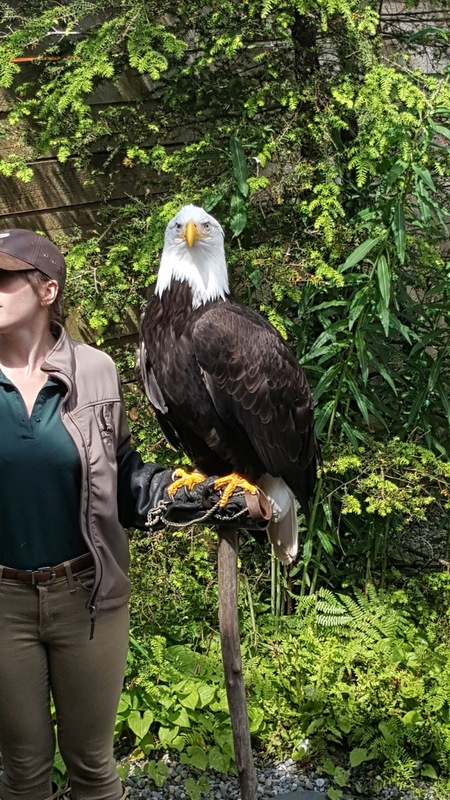 Even the employees got out their phones to take pictures since it was such a rare occasion to see so many eagles at once. Next, we visited the Raptor Center. 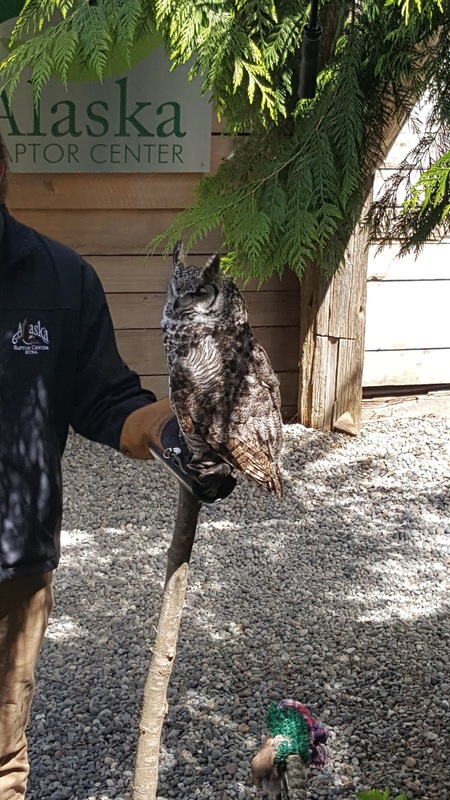 This center rehabilitates raptors that have been injured and are unable to return to the wild. We were also invited into the totem pole workshop of Wayne Hewson. 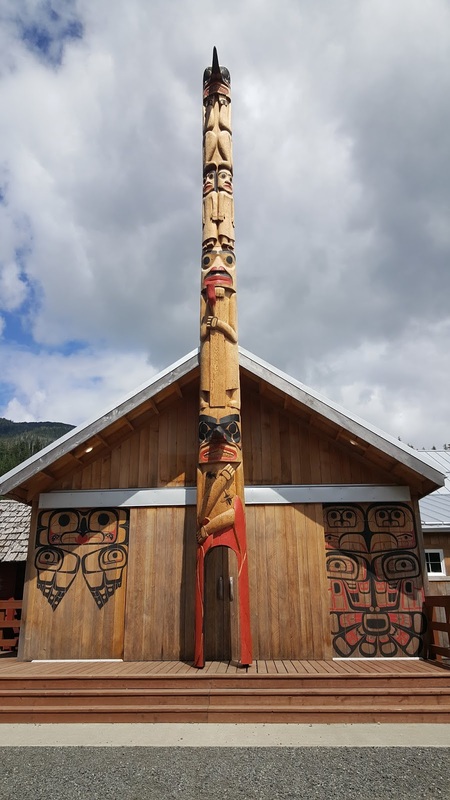 He shared his process with us, as well as his history in the art of totem pole making. Growing up, being a totem pole carver was illegal and Natives were forced to subdue their cultural heritage. Luckily, Wayne was able to begin his journey as a carver in his 30's where he was an apprentice for about 10 years before working on his own. He is such a soft spoken, gentle man with a great gift. My favorite totem pole on display was the story of the mosquito. 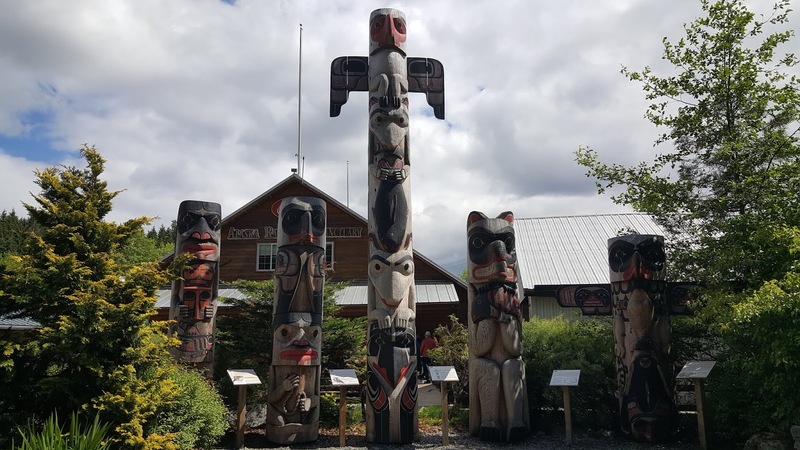 However, not all totem poles convey a story or legend. 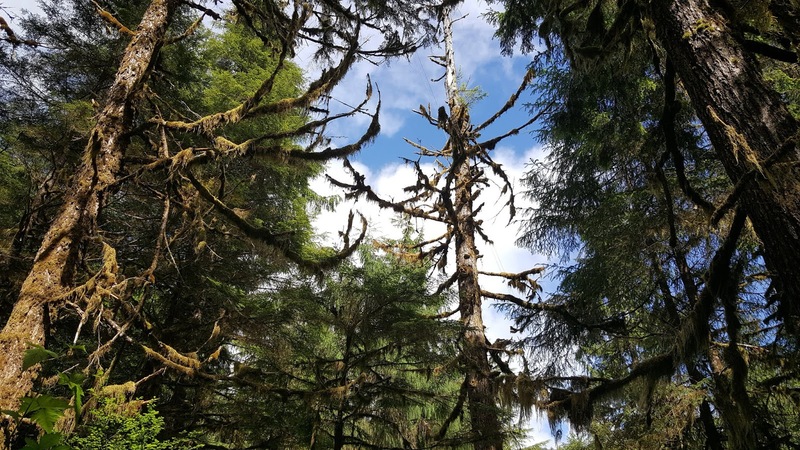 Overall, I really loved this magical walk in the Alaskan Rainforest Sanctuary and would recommend it as an educational and breathtaking way to learn about Alaska's ecosystems. That sounds like quite the adventure! It seems like you learned so many interesting things. I find it especially fascinating that there are no forest fires, but nature has a very effective solution.